I assume he will fly. He's also got a show the day before way down in Biloxi, MS....so I would assume he'll fly home....then on to the show. He's done it before. Am really looking forward to the show in Owensboro. 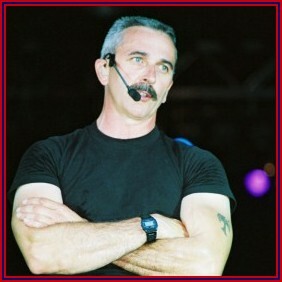 There are going to be a ton of Aaron Tippin fans there that I have met at shows before. Should be a really fun night. Would like to hear from those who are going to the Sat. Dec.1st show in Owensborro, Ky. I wonder how Aaron will travel there? I understand that the winner of the contest will get to visist with Aaron on this day but if he is scheduled to come to Ky. how much time do they get with him. It will be a long drive from Nashville to Owensborro. Hope to see some of you all who post here.